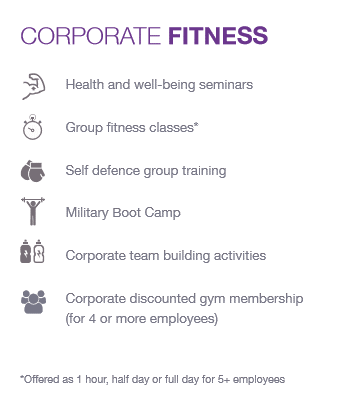 From building confidence to improving concentration, a fitter workplace can make a big difference to your business. Our experienced trainers will provide a motivational and professional service to improve the fitness and health of your employees. 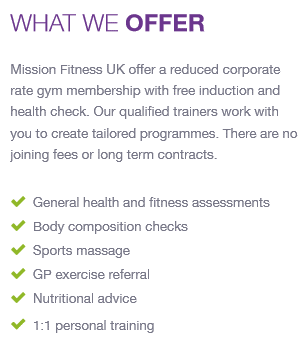 The sessions are varied, challenging and rewarding and can be held at your place of work, a local green space or at Mission Fitness UK.